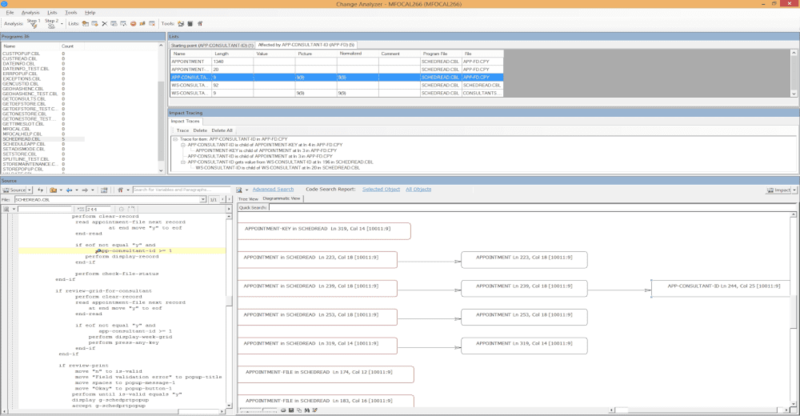 Comprehensive analysis and intelligence solutions designed for Micro Focus COBOL applications. 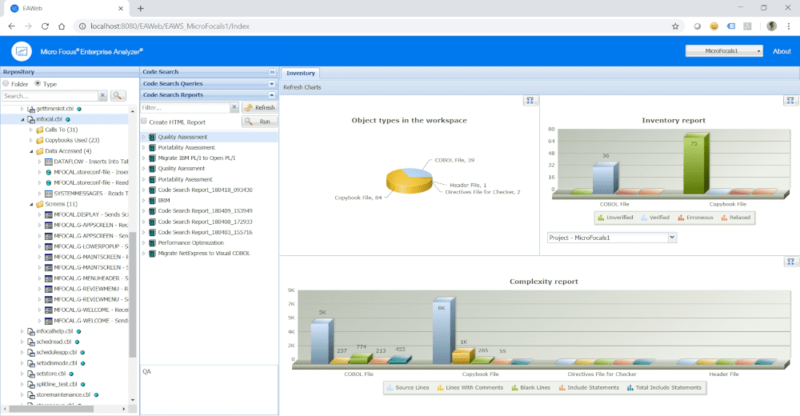 COBOL Analyzer provides a complete array of analysis, intelligence, and reporting tools designed for Micro Focus COBOL applications. It enables developers, analysts, and executives to achieve a deeper understanding of the application portfolio providing business and technical insight across applications with information stored in a secure, centralized repository. For ISVs or corporations, COBOL Analyzer enables IT teams to easily identify, prioritize and implement application change activities that align with current business needs. COBOL Analyzer provides developers the ability to continuously analyze their code before and after changes are made within their local environment and before committing those changes to the source control management stream. COBOL Analyzer is built on an industry standard, relational database management system (RDBMS) for centralized storage of application information and artifacts. 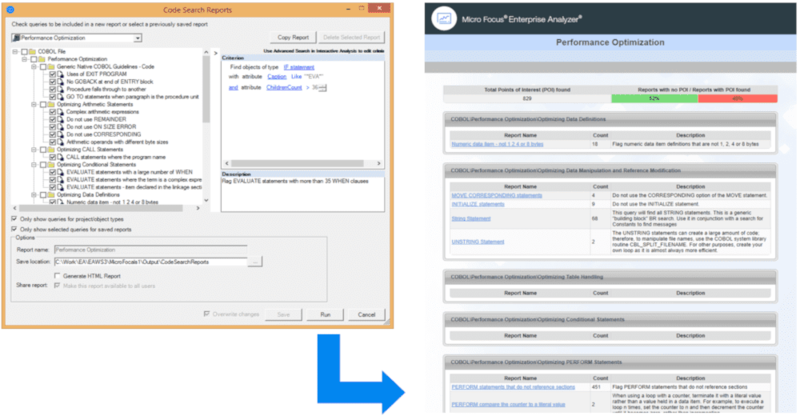 This analysis solution supports Microsoft SQL Server Express, Standard, Enterprise and Developer editions. 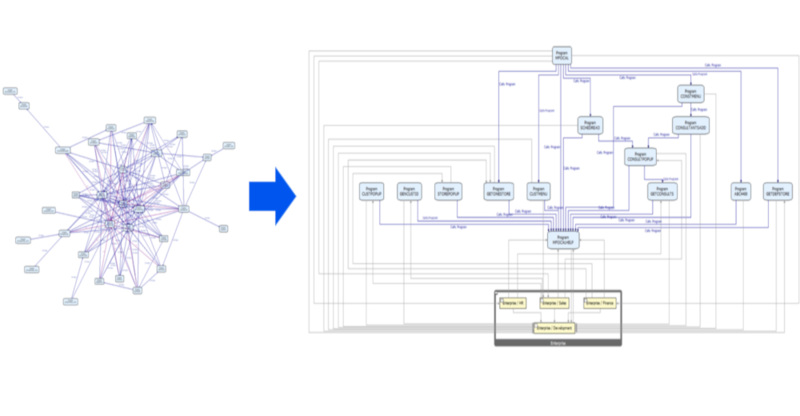 Intuitive and interactive visualizations ensure that stakeholders have application visibility and developers receive current code change updates. 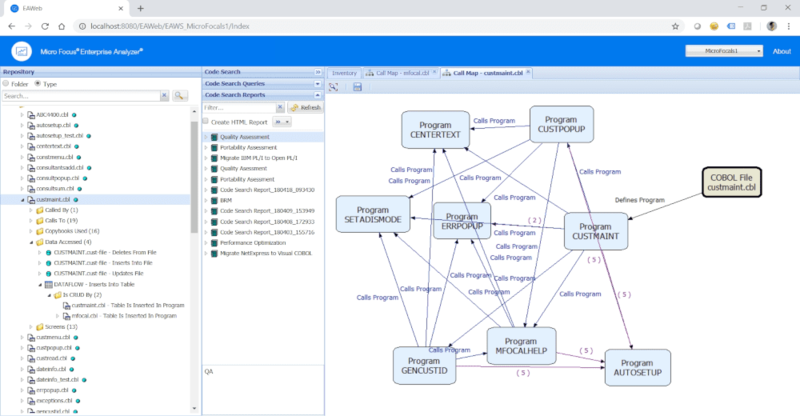 COBOL Analyzer visualizes how applications fit into the inventory, their dependencies, and relationships as well as provides visibility to program structure with fast navigation to areas of interest. It also shows the impact of application change within programs, data flows, and source modules. The COBOL Analyzer solution includes a pre-built query library including a set of common queries to locate points of interest within the application code. These queries are fully customizable and the results can be shared with application developers to improve visibility to code change. Built-in queries include coding standards, performance optimizations and code migration issue related searches. 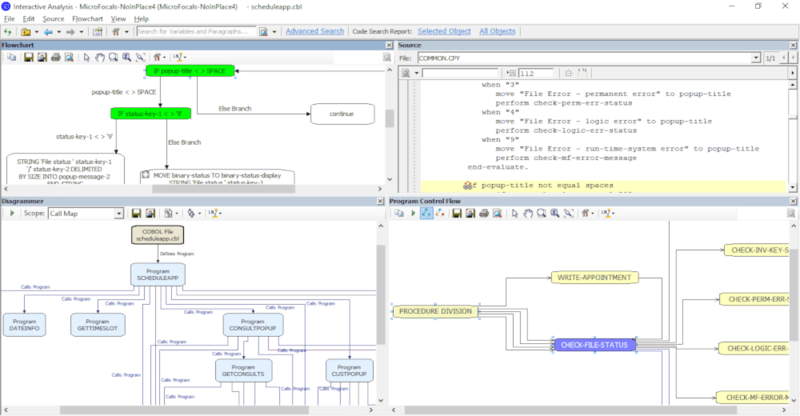 The COBOL Analyzer solution identifies all code that is affected by the planned code change event. Developers and analysts can then easily investigate and take next steps to complete that code change activity. COBOL Analyzer supports an easy, fast, and cost-effective developer on-boarding process.